It's wonderfully strange to me as their Mama-teacher to find ourselves in this phase of learning. I remember rather vividly the days that I cried many tears to the Cowboy insisting that these kids were never going to learn to read or write. 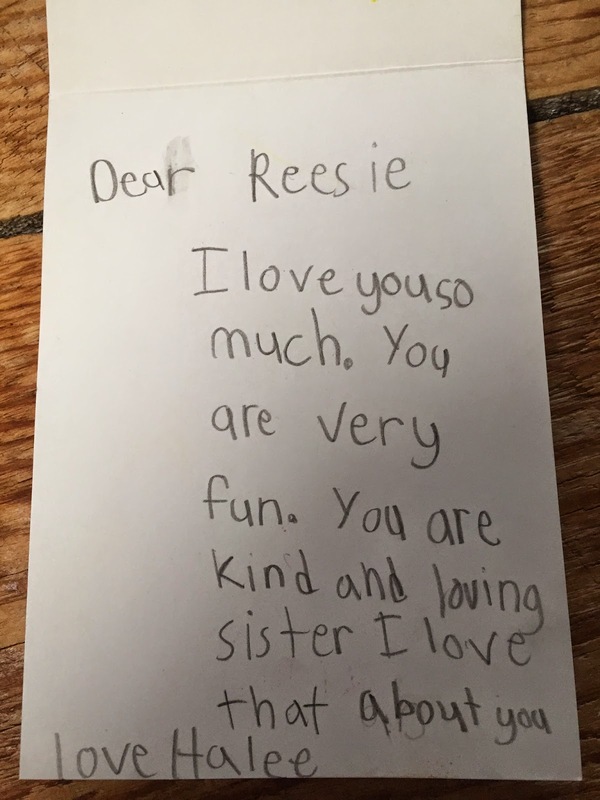 A few nights ago when I was tucking my Spunky Girl into her bed she pulled a piece of paper out from underneath her pillow and slowly unfolded it's edges. "Look Mom. 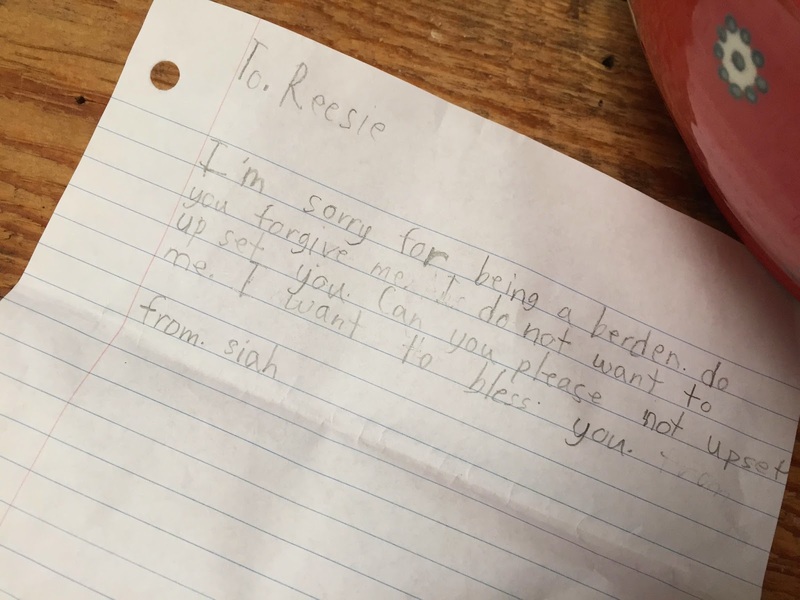 Siah wrote me a letter today while you were gone..."
Hugged my girl and kissed her forehead. "He loves me, huh Mama?" "He sure does baby girl." She smiled and carefully folded the letter back up and tucked it back under her pillow. The Lord is doing His thing here... with these kids... in this place.